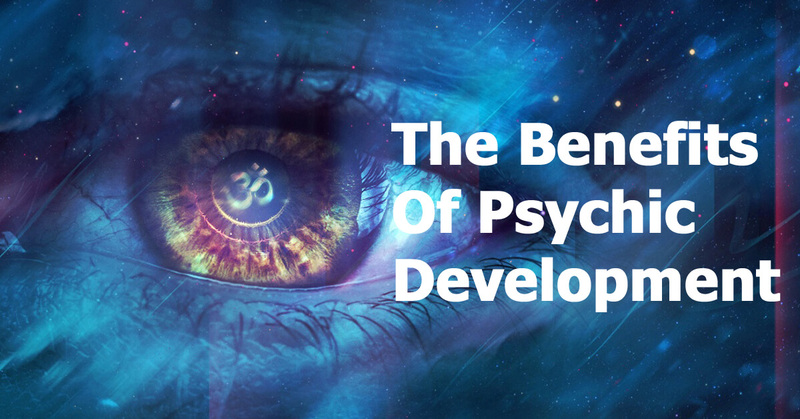 Psychic development is not just about you accessing and developing your psychic abilities, it is about you going on a journey of self-discovery and learning about yourself and your own spiritual growth and personal advancement. once you have unlocked your psychic abilities, you will be able to use your intuition, your inner guidance to guide and control your life to achieve continued success, fulfillment and happiness. Meditation is great for psychic Development. According to several studies When you start meditating the frontal lobes of the brain are more active. The frontal lobe is the part of the brain that controls higher cognitive functions including problem-solving, memory, planning, judgment, emotional and expression. The gray matter of the anterior part of the frontal lobe, the prefrontal cortex, is the most complex part of the brain and is responsible for the regulation of cognitive, emotional, and behavioral functioning. Which is important for positive human qualities such as concentration, creativity, and our ability to think abstractly. Also, give us the ability to experience human happiness and enjoyment of life. Studies using EEG have shown that Meditation activates the prefrontal cortex (“higher brain”) and strengthens communication between the prefrontal cortex and different areas of the brain, while deactivating the amygdala (“fear center”). Located in the temporal lobe of the brain, also part of the limbic system within the brain, which is responsible for the processing of memory, survival instincts, and emotional reactions. Once your mind is in balance, your body will be in balance as well which will improve your overall physical, emotional, mental and spiritual well-being. A balanced mind and body reduces stress on your immune system, decreases any anxiety, tension headaches, ulcers, insomnia, muscle and joint problems. You will experience increases energy levels, feel great joy and a greater peace of mind. 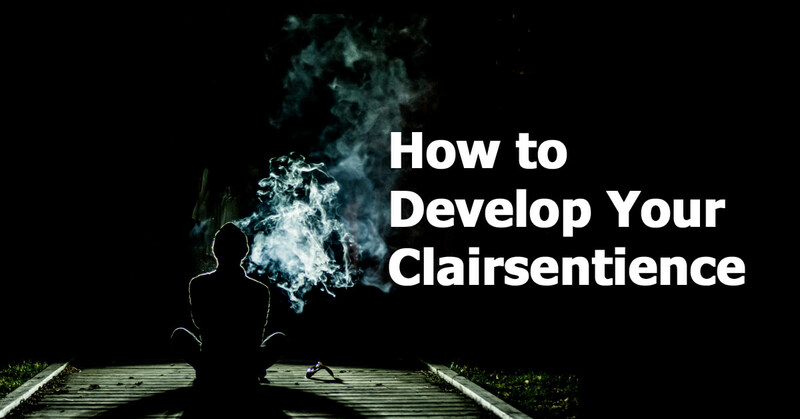 Clairsentience is ‘Clear Feeling’ it is the ability to pick up on the energy and emotions that surround us on a daily basis. Have you walk into a room and notice the energy of the place? Can you sense what people are really thinking, even though their words might not suggest so? Are you able to feel other people’s emotions? If so, you clear feeling. Clairsentience also gives you the ability to sense physical sensations like a light touch, tickling or pressure or pain on your skin; this could be way of telling you about any health conditions in certain areas on your body or someone else’s body. 1. Ask someone to give you an object, hold it with your non-dominate hand or whatever hand you feel is able to read the object. 2. Meditate for 5 – 15 minutes to calm your mind and to tune in, take three deep breaths, what impressions do you get? What do you feel? Do you get a positive or negative vibe from the object? It may take a few moments, so just relax and don’t rush yourself. 3. Stay calm and let anything into your mind, don’t judge what you see, feel or thought or worry about it making sense. You might not totally understand what it means but the person will. 4. When you are ready, say out loud what you felt, you can ask the person who gave you the object questions to confirm what you are thinking but it is better to ask yes or no questions, you don’t want to them to reveal too much information. The more you practice the better you will get. 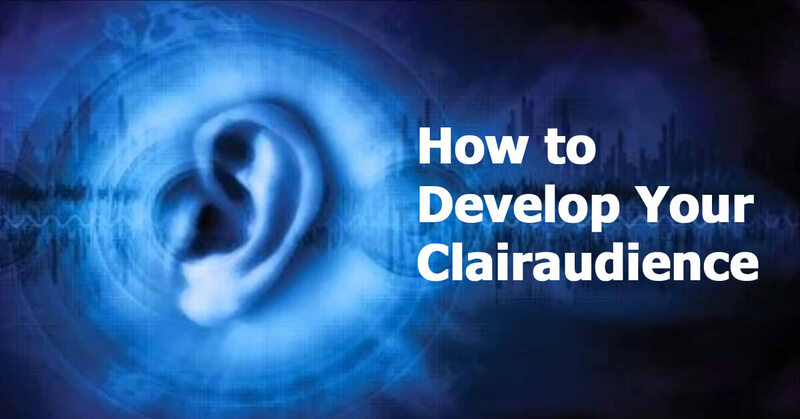 Clairvoyance means ‘clear vision’ is the ability to see images, scenes, symbols, spirits, people, energy fields or visions/premonitions in the mind’s eye. Your mind’s eye is the movie screen that shows in your mind, when you close your eyes. The third eye (The sixth chakra) is the energy centre that is associated with clairvoyance. The third eye needs to be activated to access the clairvoyance ability. The third eye is a term we use for the sixth chakra, located just above the eye brows in the centre of the forehead. The sixth chakra is the energy centre for intuition and is associated with clairvoyance, precognition, visualization, astral travel, dreaming and extra sensory perception. If you have not use the third eye for a long time it will be blocked, and would need to be re-activated. Re-activating the third eye varies from person to person; it is dependent on your current lifestyle and spiritual development. It naturally takes from three to twenty- four months to re-activate your third eye, through daily meditation and lifestyle changes. 1. Find an object, look at the object from 30 seconds to one minute and then close your eyes and take three deep breaths, visualize the object in your mind’s eye. Are you seeing it clear and solid or fuzzy, it doesn’t matter how well you can recall the details. 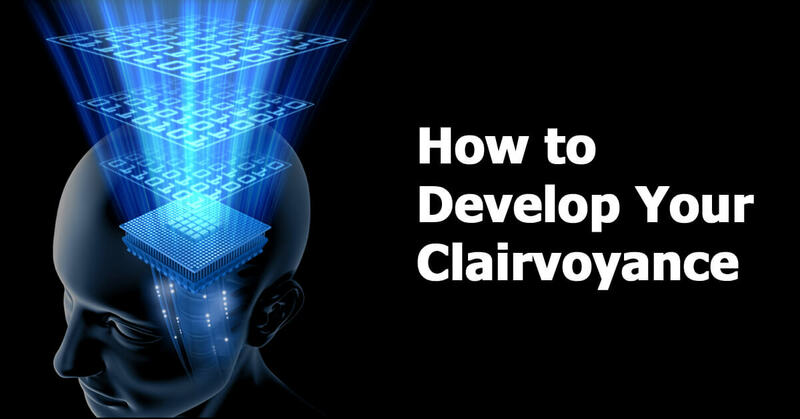 It’s about practicing and developing your clairvoyance. Try not to force the details into your mind, just let them come to you. 2. Coloring is a great way to tapped into your imagination and visual processes of the mind. Try out Free Printable Coloring Pages for Adults. What Happens When Your Third Eye is Open? The third eye is also known as the sixth chakra, It is located just above the eyebrows in the centre of the forehead. When the third eye is open you can experience clairvoyance, visions, and extra sensory perception. The third eye opens the doorway to receving messages and information from the higher consciousness and other dimensions of consciousness. Based on my experience when my third eye chakra naturally opened. I sometimes feel a tingling or a pressure on my third eye chakra or around the forehead area. In my mind’s eye, I can see colours mostly purple. When the colour starts to disappear. I can see images of people, objects, sacred symbols, and I sometimes have visions. You will receive messages or information coming from your higher consciousness and from other dimensions. They communicate to you using your physical senses. They may send the information using your strongest physical sense or they may use two or more together. You will receive information or knowledge that can help your personal and spiritual growth. Or receive knowledge or information to help others. Constant practice is needed to strengthen the physical senses and to listen and to interpret the messages that you are receiving. It can take months or even years of practice. Practicing meditation can help you to focus and be aware of the messages coming through. Sometimes it is possible to misunderstand the message because of lack of trust of your ability in what you are receiving or the message does not make sense to you, but may make sense to someone else or to you in the future. The downsides that I have experienced are that I get migraines that can last for hours or days. This happens when your physical body is still getting use to receiving initutive information or the third eye is not fully open and the chakra is over-active; too much energy is in the third eye area and needs to be released. Doing anything that is grounding, that helps to keep you centered brings the third eye chakra back into balance. Another downside is you may see things that you may find upsetting. Especially if you have an unsettling vision of the future, that came true. Remember spirituality is love we need to maintain a high vibration, a vibration of love. So that you will, not attract unwanted negative energies or experiences in your space. Chakra is the Sanskrit word which means ‘wheel’. Chakras are wheels of rotating energy.They are the energy centres in our body in which energy flows through. 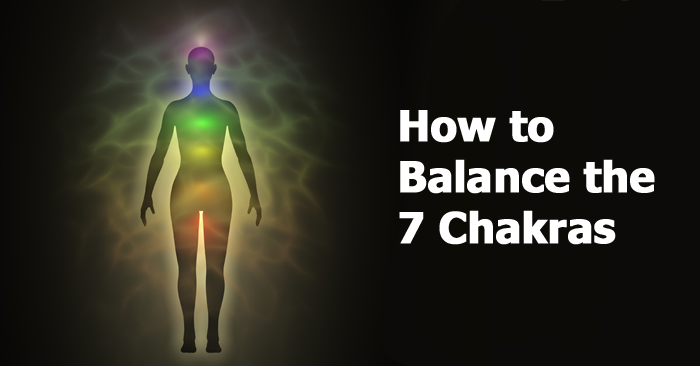 There are seven major chakras and many minor chakras. Each of the body’s seven chakras is associated with specific locations on the body, such as the solar pleuxs, the heart, the throat, or the crown of the head. Each chakra is associated with a endocrine gland and certain organs which it provides with the energy it needs to function. Also each of the seven chakras corresponds with our emotions, behaviours and different aspects of our life. The chakras vibrate and are open at different levels relative to the awareness of the individual and their ability to integrate the characteristics of each into our life. You can target a specific chakra depending on the problem you want to solve or the goal you want to achieve. Sometimes energy can be blocked in one or more of your chakras. which can often lead to health issues, stress and unbalance within yourself. it is important to understand what each chakra represents and how you can restore its balance. There are many chakra healing methods; from sound therapy, colour therapy, yoga, reiki healing, pendulum drowsing, crystal healing, emotional freedom techniques (EFT), aromatherapy and guided meditations. These chakra healing methods are great, but they only treat the symptoms and not the cause, you have all that you need to heal yourself and that’s already within you. 1/ Take care of your heart – If we can learn to control our breathing, which makes the heart’s rhythms become more balanced, the changed of flow from the heart to the brain will change the impact of the brain’s performance. eating a balance diet which includes eating greens, doing physical activities, will help to improve the heart, as well as your overall well-being. 2/ Have positive thoughts – you must release all limiting beliefs that are causing blocked energy within the chakras. You can do this by eliminating your negative thought patterns and changing them with positive thought process. Read the article on how to write affirmations. 3/ Breathe & Meditate – Breath is the essence of life and being, within breath is vital energy or life force called prana. Prana is a flowing life force energy that is in all living things, that can help to restore the body’s natural flow of energy. A breathing meditation practice called chakra breathing, chakra breathing can help you to bring awareness to a chakra, by centering your attention on one chakra as you inhale and exhale, the prana energy from the breath is directed and guided to that chakra. Start at the root chakra and work your way up to the crown chakra. If you want to you can also visualize or say the affirmations while you are meditating. Sit forward slightly, to avoid leaning against the back of the chair, make sure your back (spine) is straight and your legs are shoulder width apart, and your feet are flat on the ground and palms are facing up on your lap. breathe from your diaphragm, slightly tense your abdominal muscles, at the same time, push your abdomen outwards as you breathe in. Inhale slowly and deeply through your nose to a count of four, keeping your mouth closed, and hold it a few seconds. Breath out. Release it by blowing it slowly from your nose, on a 10-count. Let the stomach fall naturally when breathing out by relaxing the diaphragm, abdomen moving in as you breathe out. Repeat four times. Start with the root chakra and work your way up to the crown chakra. Close your eyes and focus your attention and awareness on your root chakra by either placing your finger on the chakra for a few seconds or visualizing or being aware of your root chakra. Inhale in through the nose and direct the breath to the root chakra and exhale through the nose and allow awareness to settle into the third eye chakra. If your mind starts to wander, just refocus your mind on your breathing and on the root chakra. Do this for two – five minutes, then move on to the next chakra. Once you have done all the chakras, just before opening your eyes, take three slow deep breaths and slowing open your eyes. Ground yourself – drink water or walk in nature. Affects our physical survival, security and safety. To heal the root chakra, you need to release all your fears. You can do this by replacing your negitive thoughts with positive thoughts using affirmations. Be in the present moment – If you feel unbalanced, like dizzy, confused or clumsy. You need to ground yourself by fully being in the present moment, so we don’t feel disconnected from our physical body. Focus on your physical life, take a walk in nature, do some gardening, do some exercise, do any activity that keeps you in the present moment. Read this article on how to start living in the present. Associated with sexuality, pleasure, relationships and creativity. To heal the sacral chakra, release all blame and guilt you may be holding on too and forgive yourself. Release emotions – Do activates that helps with releasing emotions like dancing, drawing/painting, writing, drama, sports, therapy etc. Effects our personal power, and purpose. To heal the solar plexus release all your letdowns and disappointments within yourself. Build yourself up (be strong)– Focus on your goals and on what you want to achieve in your life. Take risks and challenge yourself to do better and to be better. Learn what you need to learn to take yourself or goals further. Always strive to grow and develop yourself on a personal, spiritual and physical level. If you fail, learn from the failure and come back stronger. Love yourself – Work on accepting and loving yourself as you really are, write down all the positive things you have done and have accomplished, it does not have to be huge, it could be making someone laugh, helping someone with their shopping, etc. Go look in the mirror, place your hand on your heart chakra and say out loud all those positive things you have written. Start to visualize and think about the difference you have made in their lives and how grateful they felt towards you. Feel their loving energy pouring into your heart, clearing away all wounds, replacing with love. Give your love and your heart – give your heart to something or to others will help you to heal your heart chakra. Help someone in need, volunteer at a charity, hug a friend, nurture animals or others, do things that you love and enjoy doing. When you give your heart to something, you will start to feel the love in your heart again. Speck your inner truth – voice your opinions, feelings and principles that come to you and express them to people who are interested to what you have to say. Actively express yourself (good for introverts) – try doing activities were you are actively expressing yourself, but also listen to others who are expressing themselves to you. Things you can try are singing, drama, creative writing, therapy, chanting, affirmations, teaching and public specking. Do visual activities – create visual art, coloring, drawing, photography, working with memory, dream work, hypnosis, guided visual meditation, past life regression therapy, tarot reading, trataka, star gazing. Ground yourself – If your third eye is overactive, you may get headaches, start to hallucinate and have difficulty concentrating. You need to ground yourself by fully being in the present moment. There are many ways you can ground yourself, you would need try different techniques. Some grounding methods to try: Walk in nature (preferable barefoot), eat foods that are grown underground, gardening. Associated with spiritual enlightenment and higher consciousness. To connect with your crown chakra, you would need to meditate. Calm and still the mind, let go of all your earthly attachments. you will be able to connect to your higher consciousness. Spiritual activities and practice – spend time with people or places that has a high vibration such as sacred places, spiritual teachers, om healing, group meditation and spiritual events. Watch and read spiritual and metaphysical books, documentaries or films. Go to our resources page for website links and books. Try OM chanting –The sound of OM or AUM expresses the manifestation of the divine consciousness in form. It is believed that the divine consciousness took the form of the first vibration manifesting as sound “OM” when we repeat the chant with the correct intonation, it can resonate throughout the body so that the sound penetrates to the centre of one’s soul. we create within ourselves a vibration that attunes with the universe and the divine consciousness within us. *Please read: It is recommended that you consult a medical professional before following any advice or practice suggested in this article. Intuitive development is not just about accessing and developing your intuitive abilities. It is about you going on a journey of self-discovery and learning about yourself and your own spiritual growth. Once you have unlocked your intuitive abilities. You will be able to use your intuition and your inner guidance. To guide and control your life to achieve continued success, fulfillment, and happiness. 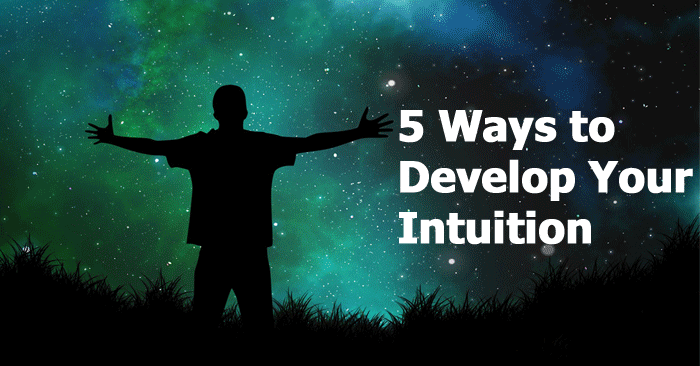 Below are the 5 ways you can further develop your intuition. Once you have opened your awareness to psychic communications through daily meditation practice. Psychic messages start to come from the superconscious mind. It is the gateway to the higher consciousness also known as the higher self, god or whatever term you want to use. It is the all-knowing mind which gives us access to infinite wisdom and inspiration. Before we can interpret the messages, we need to have an open mind and trust the information we are receiving. If we don’t trust the information, you don’t trust yourself. You need to believe in yourself, because the information you are receiving is coming from you, your higher self. Your confidence in interpreting the information will improve with practice. Once you start believing in yourself and trusting the information you are receiving. Each human being has a higher self and a spirit team. Which includes: your guardian angels, spirit guides, ascended masters, ancestors/loved ones, power animals and so on. These are spirit/light beings that have been with you from birth, you may have one or more that will assistance you throughout your life. Your higher self-directs your spirit team on areas in your life you may need assistance on and you can call upon their assistance at any time. Your higher self and your spirit team give you guidance whenever you ask for it. They send messages to you through one or more of your six senses, which include seeing, hearing, smelling, feeling/touching, tasting and knowing. The more we use and trust our senses the stronger, accurate and more frequent the messages become. You can use your intuition to guide you in all of your decisions in life regarding career, money and relationships. With practice, you can also use your six senses to sense and interpreter messages sent to other people. This is achieved because everything in this universe is energy. All energy has a vibration that emits a frequency. Our thoughts are also energy and have a high vibration. We each have the ability to sense energy and use this ability whether we are consciously aware of it or not. Use divination tools such as tarot cards, dream interpretation, runes, numerology, palmistry, pendulum dowsing, I Ching, and astrology. All these tools connect to our subconscious mind and will increase your intuition if you use them often. One of the best ways to further develop your intuition is to do psychic readings for yourself and for others. I encourage all learners to join psychic development groups in your local area and read as much as possible about psychic and spiritual development. Read the post on my top 10 recommended spiritual books, and my resource page. Practice the psychic development exercises daily, even if you don’t get the results straight away, keep practicing, practicing and practicing that’s the only way you will develop and increase your skills and to get the maximum benefit.